Whether you've recently been prescribed hearing aids or you're looking to update your current devices, it's important to find the best solution based on your hearing abilities and lifestyle needs. However, this verdict doesn't need to be difficult when AudioClinic are at hand. Follow these tips when looking for a hearing aid. Behind the ear (BTE) – This small device connects to an ear mould through a piece of clear tubing and rests comfortably behind the ear. With superior sound quality, opportunity for personalisation and excellent speech understanding, the BTE is an effective choice for people living with all types of hearing loss. Receiver in the ear (RITE) – The RITE's housing is a little smaller than the BTE due to the receiver sitting directly in the ear. Therefore, this device comes in five different styles, ranging in size for even more personalisation. Just like the BTE, the RITE delivers superb sound quality even in the noisiest of environments. Invisible in the ear canal (IIC) – This ultra-discrete solution does exactly what the name suggests – it acts invisible, by resting in the second bend of the ear. Although this style of hearing aid is one of the smallest, it delivers big results. In the canal and completely in canal (ITC, CIC) – ITC devices fit entirely within the ear canal and custom hearing aids fit within the outer portion of the ear. Both of these hearing aids are extremely discrete and come in four different styles, allowing for a tailor-made experience. 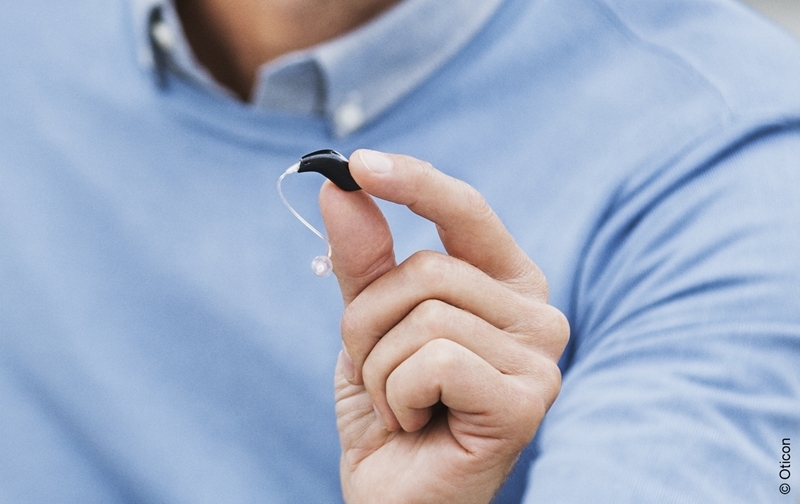 Hearing aid technology is constantly evolving. What do you need your hearing aid for? Hearing loss is described in four different stages; mild, moderate, severe and profound. The category of hearing loss that you fall into will have an influence on which style we recommend. At your hearing assessment, a qualified AudioClinic Clinician will conduct an accurate hearing check to decipher exactly where your abilities lie. Your lifestyle needs are also a big factor that will determine which specific solution is right for you. Are you frequently among loud and challenging environments, and need to communicate with many people throughout the day? Or do you spend a lot of time in quieter environments and only communicate with smaller groups of people? Either way, our range of hearing aids can be completely personalised to suit your lifestyle needs. Your lifestyle needs are also a big factor that will determine which specific solution is right for you. Visiting a clinician at AudioClinic is a vital part in the process of choosing a hearing aid. Your hearing is far too important to ignore or leave in the fate of devices from the Internet – options that can be faulty and don't provide the same level of care as from a trusted hearing specialist. During your hearing assessment, an audiologist will determine exactly which hearing category you fall under, and demonstrate how the best suited models work so that you can get the most out of your chosen hearing aid. With the best device found and personalised programme formed, you can go onto reap the endless benefits of your hearing aids! With AudioClinic's hearing checks at no cost* for anyone over the age of 26, there's no excuse not to book yours today. Give our expert team a call on 1800 940 984 or click here to book.